What is California Style Pizza? In previous posts, we’ve gone over what the difference between New York and Chicago style pizza is, but there’s another type of pizza that we haven’t really focused on yet. California style pizza is known for the toppings. The toppings are usually creative and out of the ordinary like thai-chili and basil or salmon and avocado. California style pizza is usually thin crust and often comes in single-serving or two-person pizza size. You can’t typically buy California style pizza by the slice like you can with the classic New York Style pizza. California pizza could be considered gourmet and gets its name because it originated in California in the 80s. The origins are generally attributed to chefs Ed LaDou and Chez Panisse. However, Wolfgang Puck popularized the pizza in his restaurants along with California Pizza Kitchen. The gourmet food trend has always been prominent in California, so it’s no surprise that the West coast took something classic like pizza and decided to make it fancy. The creation of California style pizza helped make pizza one of the most diverse and popular foods in the world because it helped to make pizza healthier and more upscale. California style pizza is often served in more expensive restaurants because it appeals to a crowd that is used to eating more gourmet food since it is perfectly acceptable to put just about anything on a California style pizza. Common toppings on a California pizza are chicken, egg, artichokes, steak, lobster, avocado, feta cheese, blue cheese, and goat cheese. There truly is a type of pizza for everyone and we suggest that you try them all. 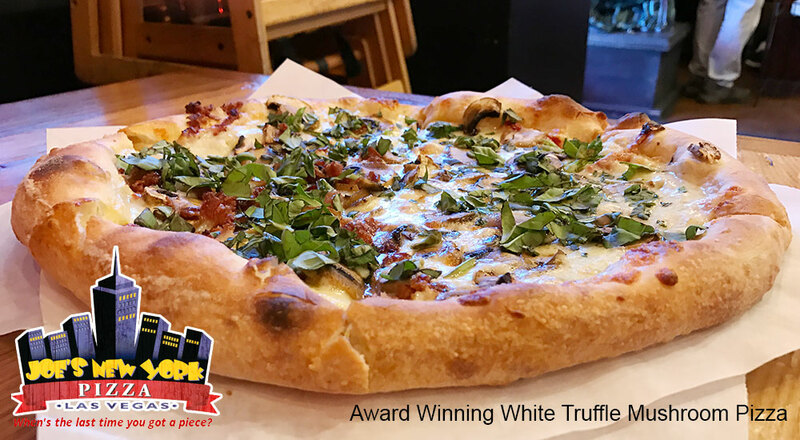 Although New York style pizza will always be the classic in our hearts, it never hurts to try something new or get a little variety in your life. This entry was posted in Blog on January 12, 2018 by Peter Soltesz.